Christchurch: India’s High Commission in New Zealand on Saturday said that it has been pursuing with local authorities whereabouts of seven Indians and two Indian-origin persons after the terror attacks on two Christchurch mosques. “We have been pursuing with NZ auth whereabouts of 9 Indians, incl 2 PIOs. 2 indians receiving treatment. Following up with NZ Govt for others. Also r in regular touch with their families (sic),” the Twitter account of the Indian High Commission in New Zealand said. 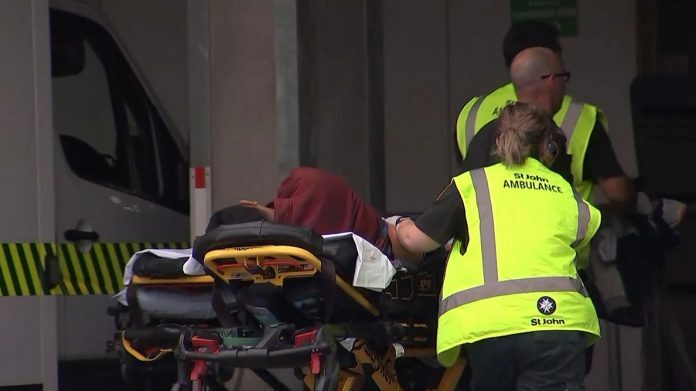 At least 49 worshippers were killed on Friday in attacks on the Al Noor Mosque in central Christchurch and the Linwood Mosque in the city’s outer suburb, in what appeared to be the worst attack on Muslims in a western country. On Friday, the Twitter account of India’s High Commissioner in New Zealand Sanjiv Kohli tweeted: “As per updates received from multiple sources there are 9 missing persons of indian nationality/ origin. Official confirmation still awaited. Huge crime against humanity. Our prayers with their families”. In New Delhi, External Affairs Ministry Spokesperson Raveesh Kumar said on Friday that India’s High Commission in New Zealand is in touch with local authorities for more information. India’s High Commission has said that any Indian national affected by the attacks on two Christchurch mosques can contact the mission for assistance. Approximately 200,000 Indian and Indian-origin people live in New Zealand. There are over 30,000 Indian students in the country, according to the Indian High Commission’s data on its website.